Tēnā koutou i runga i ngā ahuatanga maha e uruhia mai nei i a tātou katoa, nga tini kairangahau o te whare wānanga nei. Kua mihia, kua tangihia rātou te hunga kua riro i te pō, no reira ko te whakatau noa ake, ko rātou ki a rātou, ko tātou ki a tātou. He mihi, he mihi. 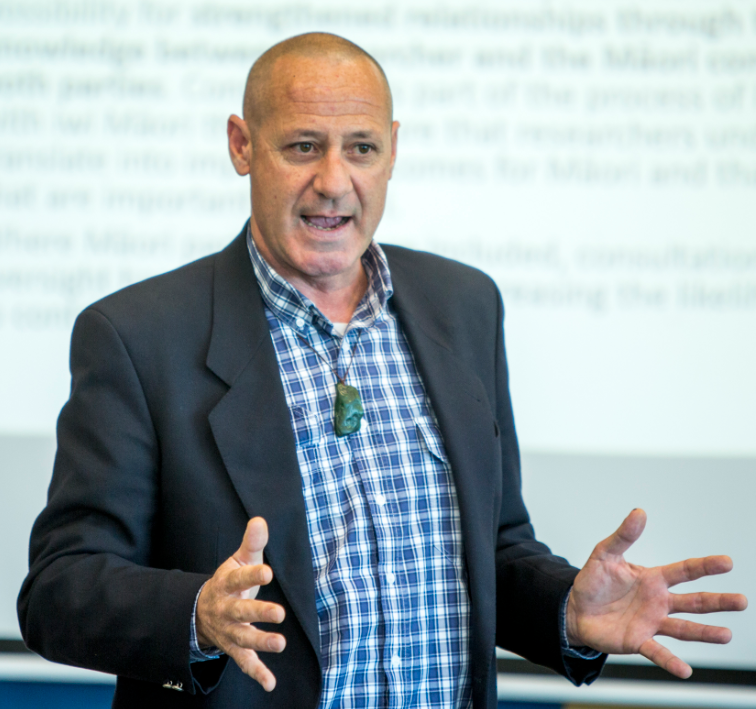 An important Māori research hui is planned for next week Friday 4 November. An invitation is extended to SMT, R&I, UC Research Committee, and co-hosts the College of Education, Health and Human Development, Aotahi School of Māori and Indigenous Studies, and the Office of the AVC Māori. The event, to be held in Whekī 451, is the annual Māori Research Colloquium. The Colloquium keynote address will be presented by Professor Emeritus Russell Bishop, one of Aotearoa New Zealand’s preeminent scholars of recent times. The whakakapi (concluding statement) will be by UC’s recently appointed Deputy Vice-Chancellor Research, Professor Ian Wright. For planning purposes, an early rsvp would be appreciated. 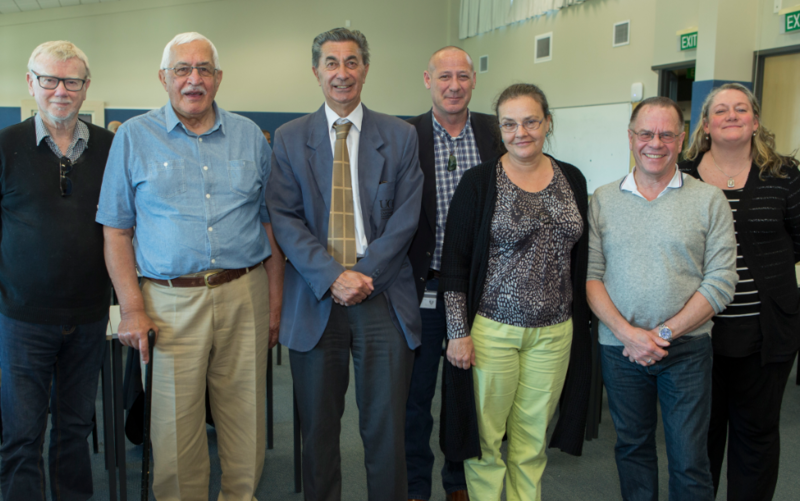 Education and Māori Studies leaders from across UC shared experiences and resources with a delegation from Sydney and Macquarie Universities’ Centres for Aboriginal Studies this week. 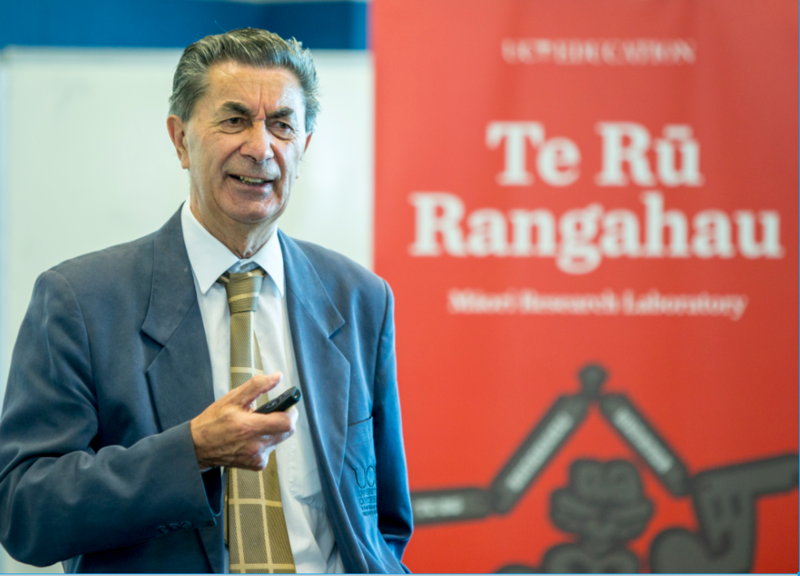 Three visiting academics were hosted by the College of Education, Health and Human Development’s Māori Research Laboratory, Te Rū Rangahau. Cathie Burgess, a Senior Lecturer in Education and Aboriginal Studies Curriculum at the University of Sydney commented that the cultural exchange has enriched their ideas with regards to Aboriginal perspectives across the curriculum, and appropriate pedagogical approaches for teachers working more responsively with Aboriginal students. “We are also impressed with what UC has in place in terms of doctoral confirmation processes,” Dr Burgess added, after observing a doctoral candidate’s presentation. Presentations by senior Māori staff, including the Head of Aotahi School of Māori and Indigenous Studies Sacha McMeeking, were complemented by Māori postgraduate students showcasing their scholastic endeavours. The Dean of the College, Dr Julie Mackey met with the Sydney party to acknowledge their visit and encourage ongoing trans-Tasman relations. On 1 December 2016 all New Zealand registered banks will be making changes to the way they process domestic payments, as part of improvements being made across the New Zealand banking industry. The University’s bank, the ANZ, has alerted us to the effect this could have on staff and the way you manage your payments. ANZ will implement the changes from Monday 14 November 2016. Note: Please contact your own bank if you are unsure about how these changes across the New Zealand banking industry may affect you. Currently, banks normally send future-dated payments overnight (after 10pm) on business days. From 1December all banks are required to send electronic payments (including bill payments, automatic payments, tax payments and funds transfers) during the day on business days, with some banks starting from 4am for future dated payments. All credits to your account will be treated as cleared funds and available for immediate use (excluding cheques). All payments from your account will not be able to be stopped once sent, and will be sent to the payee as cleared funds. Any payment error will need to go through recovery process (will differ amongst the banks). Direct debits during the day on business days, when they receive the request for them from the initiator (e.g. the company you’re paying). Not all banks are following the same processing cycles, and you may need to contact your own bank to get an understanding of how the changes will affect you. Depending on your bank, electronic payments will be sent earlier than before – so you’ll need to make sure there is enough money in your account when the bank make any payments. This could be anytime from 4am on the due date (depending on your bank), rather than after 10pm currently. If there isn’t enough money in your account when the bank first tries to make an electronic payment, they’ll retry throughout the day. If you still don’t have enough money in your account when they make their final attempt (for the ANZ, for example, this is at 4am the morning of the next business day), then like now your payment may fail and the bank may charge a failed payment fee. If the bank is able to make your payment on its final attempt, there is a chance the payment will be dated the next business day (e.g. if your payment was due on 20 December, but it was made it on the final retry, it will be dated 21 December). If you have to pay a person or organisation by a certain date, this means the payment may be late. The University will aim to make its payroll run at approximately 2pm on the normal payment day (Wednesday). ANZ (the University’s transaction bank) advise that this should be cleared to ANZ staff accounts in near real-time and other banks within 90 minutes. If you have payments expected before that time, you may need to look at rearranging the time or dates to be certain there are adequate funds available. The University is not responsible for any consequences of this change in banking practice on your personal banking arrangements, but brings this to your attention. For many of you this may have no effect, but we advise all staff to check with their own banks and obtain an understanding what action may need to be taken. 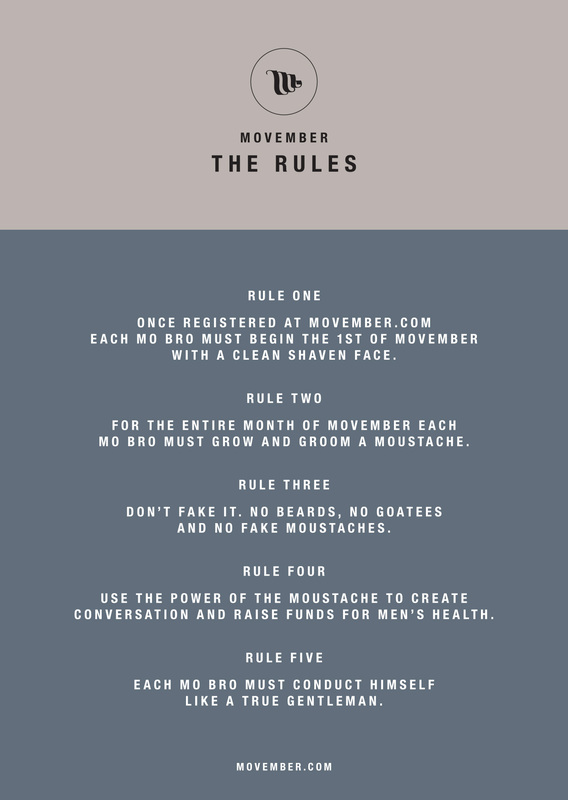 For more information from ANZ click here. Engineering Road will be closed this weekend (29-30 October from 6.00am to 4.00pm) to allow for additional trench work that will carry services to the refurbished CETF wings. The pedestrian walkway will remain accessible, however alternative access to the Science car park is from Science Road off Ilam Road and will be signposted. The Communication Disorders car park will not be accessible by vehicle.